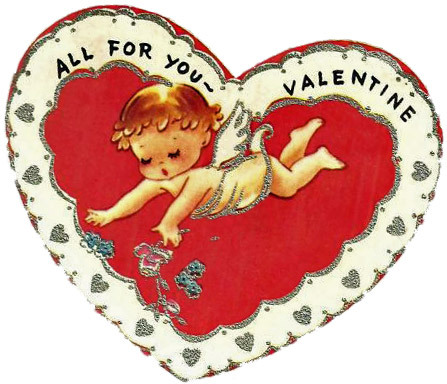 We invite you to celebrate Valentine’s Day with us, in Historic Downtown Clarksville this year! Check out the great romantic and affordable options happening in the heart of Clarksville, TN. Treat your valentine to an unforgettable evening of cocktails and sumptuous hors d’oeuvres, followed by the 8pm performance of the scorching Tony-nominated musical revue BLUES IN THE NIGHT! The evening’s menu features antipasto, smoked mesquite BBQ meatball sliders with caramelized onions, teriyaki chicken pops with Bangkok peanut sauce, and custard-filled Italian cream puffs in chocolate dipping sauce by Nicoletta’s Catering, complemented with gin & vodka martinis as well as non-alcoholic punch, coffee and bottled water. Edward’s Steakhouse will be open for three seatings on Sunday, February 14 at 4pm, 6pm & 8pm. For reservations please call, 931.906.8877. There will be open seating in the Piano Bar from 4pm until 10pm. Spend Valentine’s afternoon with the Clarksville/Montgomery County Arts & Heritage Development Council and F&M Bank and treat yourself or your sweetheart to a unique gift crafted by a local artist. Tickets to this 7th Annual Valentine’s Day Afternoon with the Arts are $25 each or $40 per couple and are available through the AHDC website or by calling 931.551.8870. Enjoy 30% OFF all things Valentine’s and ANYTHING Red or Pink. This offer is ONLY VALID Friday, February 12. Enjoy an all inclusive dinner for 2 with your Valentine at Hops Road. Meal includes an appetizer, salad, entree and dessert for two for only $24.99. Open noon to 10 on Valentine’s Day. Hops Java will have a large assortment of specialty desserts, candies and cookies available with candles and flowers for romantic atmosphere with your Valentine! Enjoy 2 coffees & dessert for 2 for only $9.99. Open noon to 8 pm. The Riverview Inn is offering a Valentines Day package including a Standard King or Double room, rose petals, cheesecake and a bottle of champagne on ice. Also included is extended check out of 2pm, as well as a complimentary breakfast, extended until 10:30am. Wifi access is included also! Enjoy a romantic evening in the heart of Historic Downtown Clarksville for only $129, and we will upgrade you free of charge to our newly renovated executive level! Call and make your reservation TODAY at 931.552.3331. Enjoy 15% OFF all jewelry purchases for your Valentine now through Sunday, February 14.